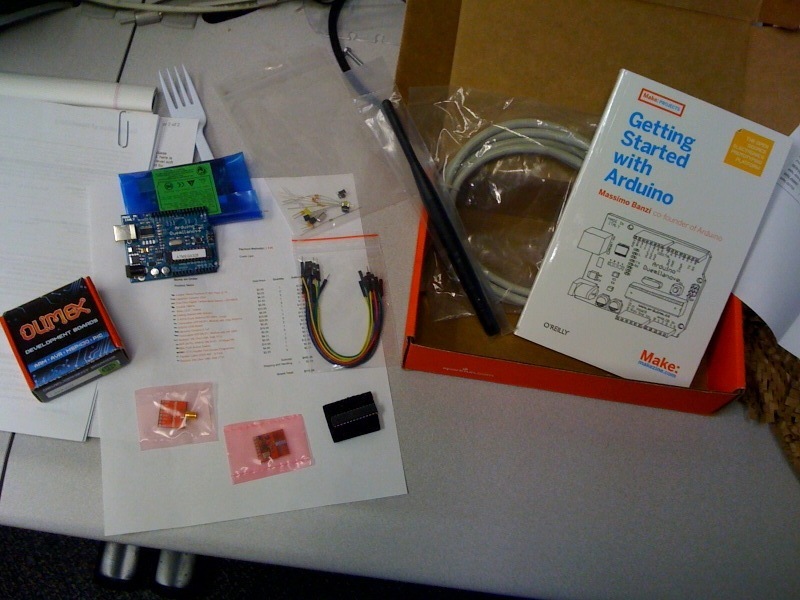 This and That » atmega168 - What else would it be? 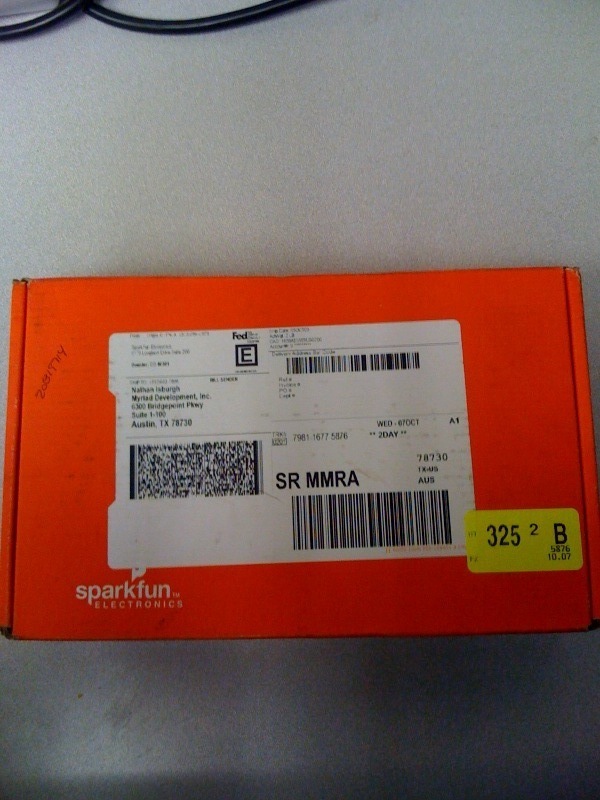 My first order from Sparkfun came in! 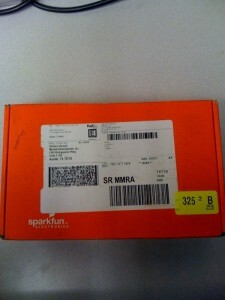 Here’s the box, surprisingly not damaged in shipping! Congrats, Fed-Ex! More importantly, here’s what was in the box!